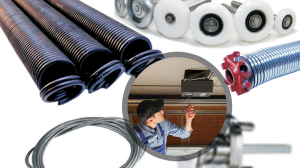 At Garage Door Repair Calgary, we provide residential services. Ask our help if you need carriage, roll-up, or overhead door service. We repair garage door problems in a timely manner and are experts in all branded openers. Is the torsion spring broken? Are the tracks bent? We do our best to help fast and are available for same day service should urgent needs arise. Qualified to offer full services, our techs can cover Calgary garage door repair, installation, replacement, and maintenance needs. Depend on our local garage door repair company when you need professional service in Calgary, Alberta. With expertise in all residential door types, our team can fix problems with their parts. We help the same day you call when the issue is urgent. And every company truck is equipped with garage door replacement parts and all tools needed for each repair service. Our pros have long experience and are factory trained to carry out any service to your full satisfaction. We do garage door repairs as fast as possible. With spares in the vans, our techs can replace any damaged and broken component on the spot. Our experience plays a great role during such services. Not all parts are the same. Each door would need a different spring, track, cable, and opener. And you can rest assured that not only do we carry all necessary spares with us but know which ones to use to fix your door. For garage door sales and installation, turn to us. When you want to replace the existing door, one of our pros will be at your residence to offer solutions and a free estimate. Our company can provide you with any type of door made by the most renowned manufacturers. Let us help you with such difficult decisions! Choosing a new door is not easy! We can make recommendations to increase the curb appeal of your house along with security. The installation of the new door is done with accuracy since your safety is our main priority. The techs from our Garage Door Repair Calgary company are also available to maintain the electric garage system. We follow a detailed maintenance checklist to inspect all parts of the door and pay attention to the opener. Our pros test the safety and security features to ensure everything works well and make sure the door is balanced and properly lubricated. With the right adjustments and repair work, your door will serve you for years. And so will we! 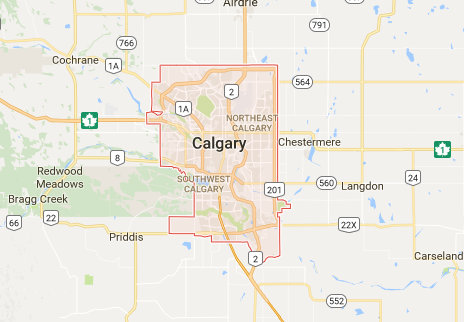 Give us a call if you want Calgary garage door repair services and trust our experience and commitment to you!